Author: Lisa Kennedy Sheldon, PhD, APRN-BC, AOCNP®. 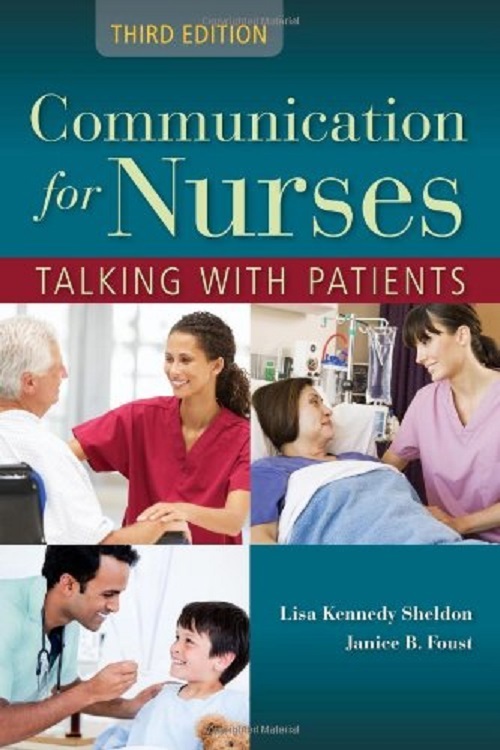 Communication for Nurses: Talking with Patients focuses on the development of strong communication skills in an effort to prepare nurses for complex situations as well as their own role in reinforcing patient safety and quality care. The third edition addresses cultural awareness, team communication, effective communication strategies, electronic health records, and communication around sexuality and self care. As the nursing role expands, reinforcement of effective communication in patient safety and quality care is essential to ensure alignment with national healthcare priorities. Electronic communication, including electronic health records and media •A focus on the changing methods of communication in health care • Communication with the elderly and children •Additional content dealing with interdisciplinary communication • New chapter on communication challenges during transitions in care.